Sitting in the midst of the Canadian River Breaks, a strip of rough and broken land extensively dissected by tributaries of the Canadian River, sits the small town of Nara Visa, New Mexico. 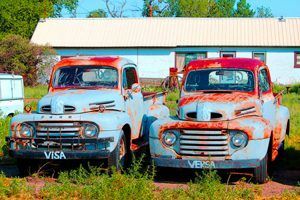 Just inside the state line some 48 miles northeast of Tucumcari, Nara Visa is not a complete ghost town, but certainly is a shell of its former self. 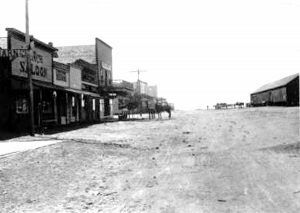 The ranching town got its start when the Chicago, Rock Island and Pacific Railroad was built thru the area in 1901. The town’s name came from the creek that flowed through it called Nara Visa Creek. In the 1880s a Hispanic sheepherder named Narvaez lived there. In those early years, English speaking settlers pronounced his name “Narvis”, which was corrupted further to Nara Visa. The first person to live in the “community” was Henry F. King, who came to the site in November 1901 to be the first section foreman. At that time, there were no structures except for the depot. He and his wife lived in a boxcar where they boarded trainmen, section men, and occasionally cowboys. In January 1902, the section house was constructed. That same year, a dugout school and post office were established. Living nearby were two brothers — Sim and Fred McFarland, originally from La Veta, Colorado, who had come to New Mexico to work on their uncle’s cattle ranch. In 1902, the brothers each filed a claim on either side of the railroad track, formed a partnership and opened a box-car-sized store in which they installed a safe for their money. Before long, they began keeping their customers’ money in the safe and paid it out when crude checks, scrawled on scraps of envelopes or brown paper sacks, came in. Nara Visa’s first “bank”, though unofficial, was born. However, its term would be short, as the McFarland Brothers sold their Nara Visa business to John and Anastacia Burns and moved their operation to nearby Logan, New Mexico in 1904. The next year they would establish the long-running McFarland Brothers Bank. In the meantime, two small stores had been built in Nara Visa and the town had become a shipping point for area cattle. John Burns who had bought the McFarland Brothers business helped to organize the First National Bank in 1907. 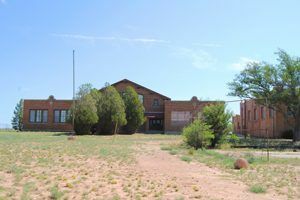 A more substantial stone schoolhouse was built in 1908 to handle the increasing population of homesteaders’ children and in 1909, McNeil & Crain began to publish a weekly newspaper called the Nara Visa New Mexican and Register. In 1911, its name changed to the New Mexico News, and from 1912-1914, it was called the Nara Visa New Mexican, no doubt, changing publishing companies with each name change. The people of the community were obviously correct as the town sported numerous businesses by 1912, including a hotel, three saloons, three blacksmiths, two general stores, a seed company, two drug stores, two liveries, two hardware stores, two doctors, a broom manufacturer, an undertaker, two bakeries, a restaurant, a veterinarian, a lumber company, a meat store, a lawyer, a barber, two banks — the Farmers & Merchants Trust & Savings Bank and the First National Bank, and continued to support four churches — Catholic, Christian, Methodist, and Baptist. In 1919, Nara Visa was described as having eight saloons, at least three dance halls, drugs stores, general merchandise stores, a barber shop, butcher shops, millinery shops, auto suppliers, hotels, garages, and a bank. 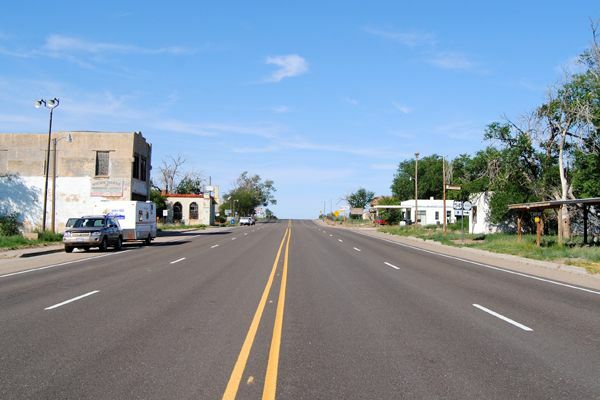 In 1920, Nara Visa, with a population of 651, was the 2nd largest community in the county, next to the county seat of Tucumcari, which was the only incorporated town in Quay County. Nara Visa residents voted to provide a school for the children of Nara Visa and nearby ranching communities. 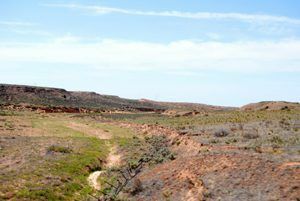 The land for a new, larger school was donated by John Burns, prominent rancher and bank president. J. C. Berry of Amarillo was an ideal choice as architect, for he had designed many homes and schools for Texas and Oklahoma ranchers whose needs and values were similar to those of his Nara Visa clients. The School was a success, and by 1936 the site became the choice of a Works Progress Administration sponsored construction to expand its facilities. The tradition of community involvement was continued with the construction of an adobe gymnasium with local labor and materials. The gymnasium also provided classrooms for agricultural and home economics training which could enable the students to become better ranchers. 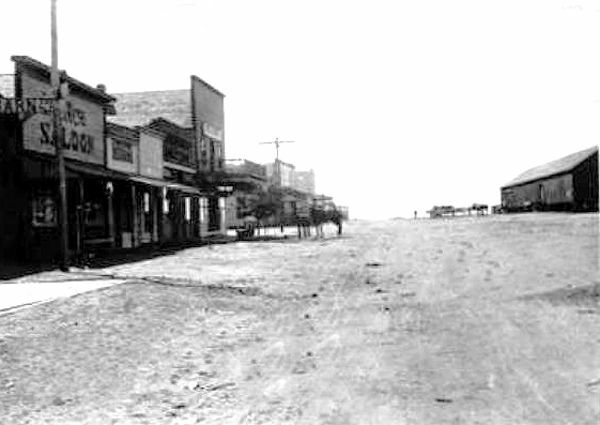 But, like so many other settlements across the plains, the town suffered from the Depression and the Dust Bowl. The population began to fall and continued to decline through the next several decades. The school finally closed in 1968, at which time the number of students was only seven. Today, the school and its auditorium are both listed on the National Historic Register and serve as a community center for the area. Nara Visa’s post office is still open, the railroad still runs through the area but makes no stops in the small town, and surprisingly there is an open motel. But, other than the motel and the post office there are no open businesses. The town now boasts only about 100 people, most of whom must live on nearby ranches, as the town itself is filled with abandoned buildings, businesses, homes, and numerous antique cars and trucks. But, for this photographer, those very businesses and automobiles made for some great photo opportunities and of the few people we met, they were extremely friendly and provided a wealth of information. I just drove through Nara Visa on my way to Kansas. I noticed the historical marker at the school and could help to look up the details of this ghost town. Thank you for all the details you provided about the history of tho town and why it was established. Great work!